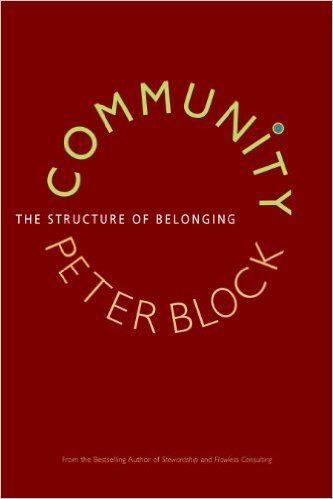 Regarding the changing of cultural beliefs, Peter Block believes a "culture of accountability" is needed with a commitment towards the creation of a deeper sense of community. As Peter explains, a community’s well-being relies on the quality of the relationships and the cohesion that exists among its citizens, known as a community's "social capital". The distinction between cosmetic and authentic change. How contracting is at the core of transformation. During the session, Peter will guide you with information, peer interaction, connecting with other participants, sharing ideas, and answering questions. …and find out why anyone trying to have some influence over a group or organization but has no direct power to make changes or implement programs is a consultant, and why anything that is immediately applicable is "doing tomorrow what you did yesterday." 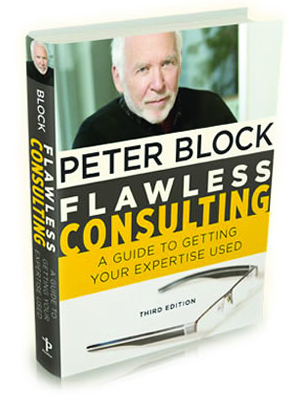 Peter is the author of several best-selling books. 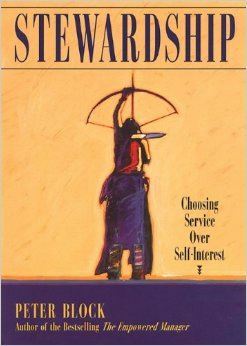 The most widely known being Flawless Consulting: A Guide to Getting Your Expertise Used (1st edition 1980, 3rd edition 2011); Stewardship: Choosing Service Over Self-Interest (1993, 2nd edition 2013) and The Empowered Manager: Positive Political Skills at Work (1987).